A couple of months ago I got requested to do a commission of a patterned giraffe for a little boy. I freaked out in excitement, and accepted. I got my first commission! In between working on crafts projects and school work, I created this beauty. This guy is probably the largest piece I’ve ever done like this. He is 11″ by 17″ while the Elephant I created was about the size of regular sheet of paper (I think it was 8″ by 11″??). The Black Rhino was about 5″ by 7″. It has been fun changing the sizes of these creations. On a random note, I had to borrow my boyfriends phone for this one, and the glare was not being kind while taking the picture. Sorry about the quality guys! 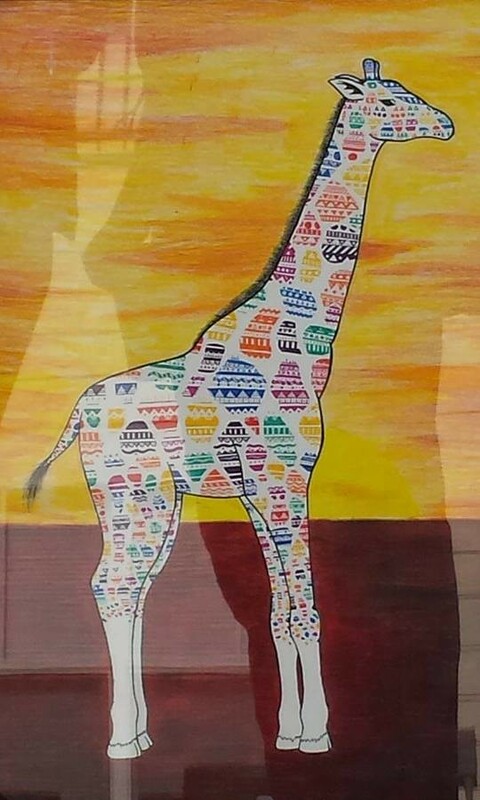 Tagged art, Art of the Day, artsy, artsyrobot, first commission, giraffe, whoo!